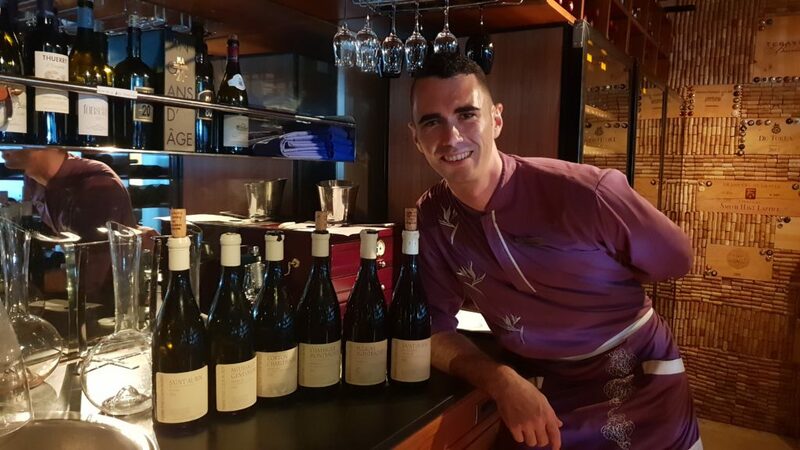 On the 18th and 19th of August 2018, Pretoria was buzzing with one of the biggest culinary and entertainment festivals in South Africa. 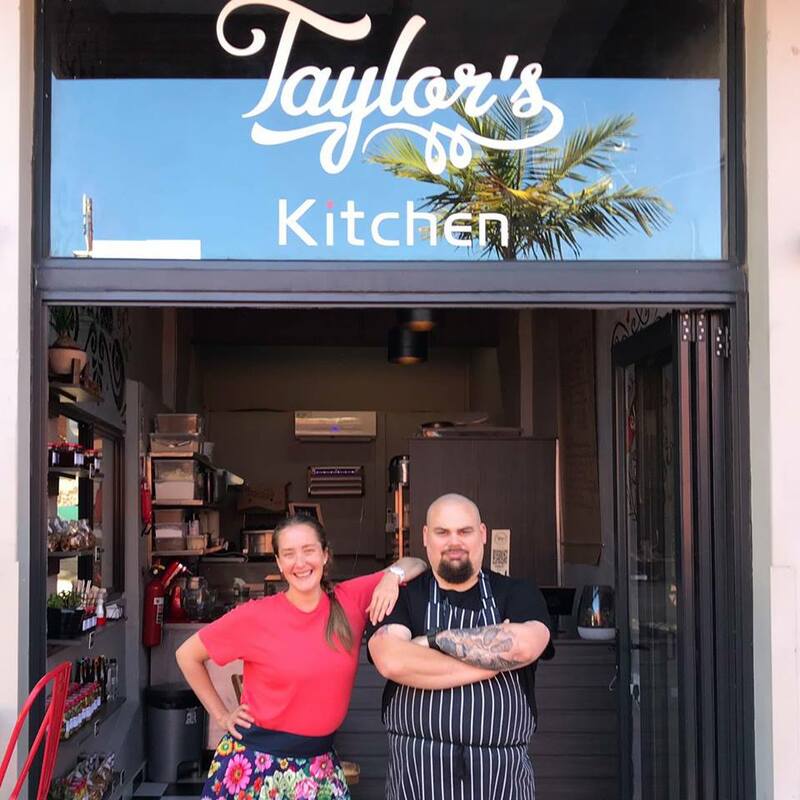 Not only were fans and foodies spoilt for choice, but they were also exposed to some valuable cooking insights from the demo’s that were done by the renowned line-up of chefs. Gracing our South African shores all the way from Australia were Gary Mehigan, George Calombaris and Matt Preston. Also included in the line-up of chefs were Siba Mtongana, Sarah Graham and J’Something, to name but a few. 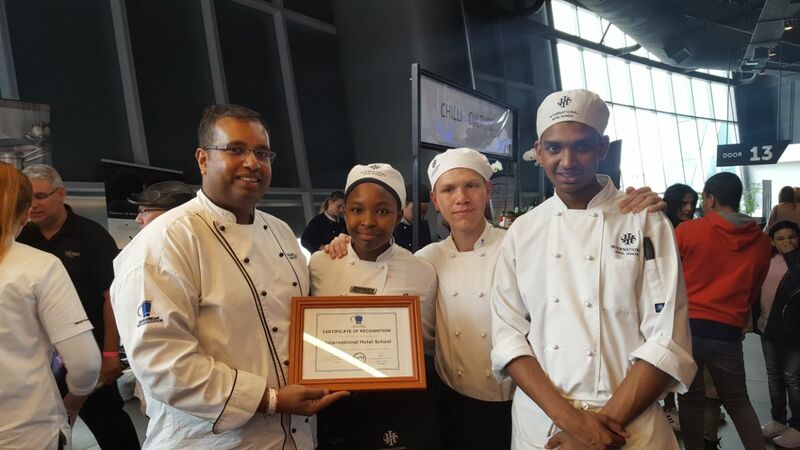 The Appetite Festival was attended by students from some of the top culinary schools in South Africa, one of them being the International Hotel School. 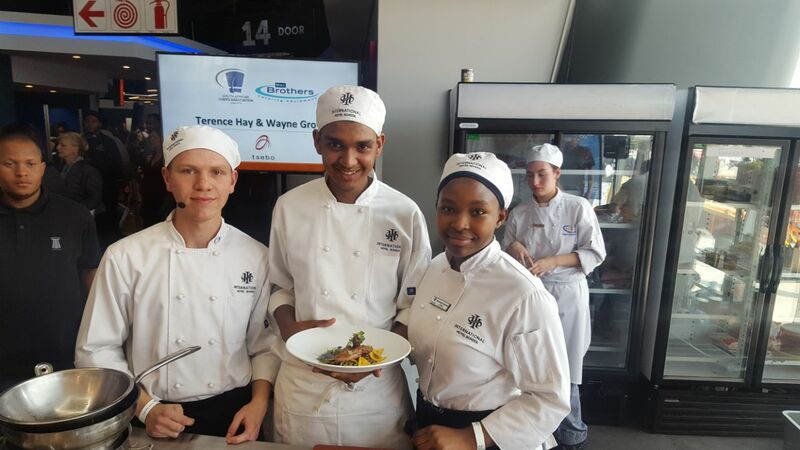 Blessings Tebogo Makoka, Thiart Khoury and Tyrel Padiachey were selected to participate in a sizzling cook-off against three of HTA’s students. Each group had an allocated time in which they had to prepare their dishes. 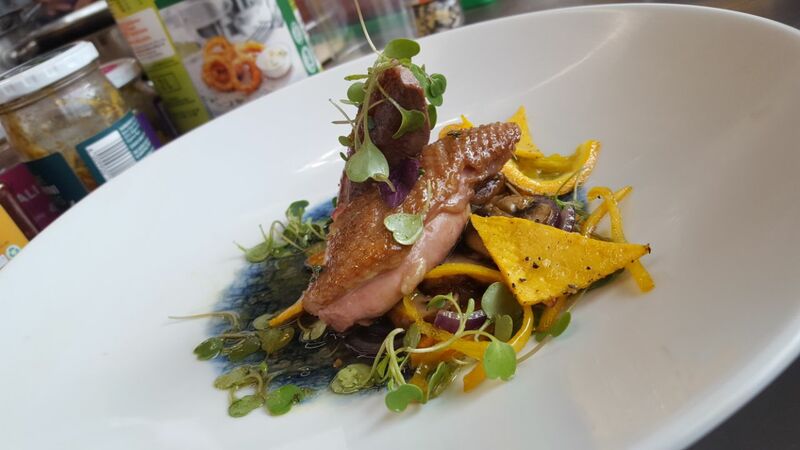 Our students prepared a Duck à l’Orange dish with garlic sautéed mushrooms, julienne carrots, candied orange slices topped with lemon and naartjie zest. Philasande Khumalo was one of the students who also attended the festival. He was involved in designing the menu. Although there was no winner announced at the end of the cook-off, Philasande Khumalo believes that IHS won (because we rock!). During the duration of the event, Philasande and his friends met with celebrity chef George Calombaris from MasterChef Australia. “I actually got to work on his masterclass and managed to get a picture of all four of us in it, which I will treasure forever,” says Philasande. 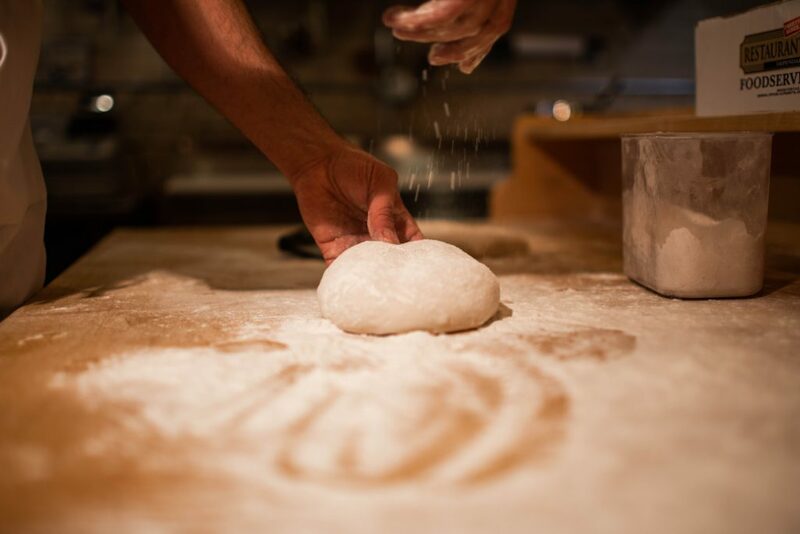 “It was truly worth the late night’s home and there were endless opportunities to network with other chefs. I certainly learnt a lot about food and how certain foods should be prepared,” concludes Philasande. According to Blessings Makoka, “This event was an incredible experience! The dishes that the MasterChef Judges prepared for their guests were my inspiration for the cook-off. Overall the festival, was amazing and I’m sure everyone that attended can agree,” beams Blessings. If you would like to recreate the dish at home for your family or friends, then follow this recipe. 1) Place the duck breast on the far side of the dry pan, and then render the fat until it is crispy. 2) Seer the other side of the duck breast and make sure that you don’t overcook the breasts. 3) In the same pan, remove the breast and pour in the orange juice and sugar for the sauce. 4) Sauté the mushrooms with the garlic in a little butter for 2-3 minutes. 5) Sauté your carrots with thyme in a little oil till it is lightly brown. 6) In another saucepan cook the zest, and slice in half the orange until it is candied.